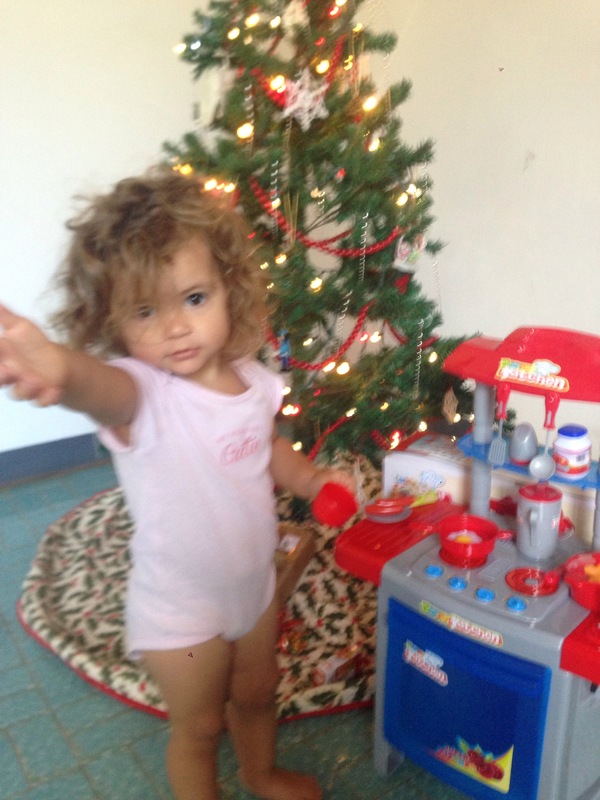 Our daughter fell in love with a plastic toy kitchen the last time we were home in the States. I decided that if I could find one at a decent price, it would be her big Christmas gift this year. I promptly fired off a letter to Santa with our request. I got a kind reply from one of his elves that “due to regional constraints” Santa was unable to deliver large items to Brazil. Had I considered an online vendor? True. Christmas trees are scarce. There’s a proper shortage of hearths and chimneys–Brazilian children receive gifts in their shoes! So I guess delivery options are limited. If it doesn’t fit in your shoes, Santa’s not shipping. Anyhow, armed with that kindly advice I ventured into the world of Brazilian online shopping. Amazingly, I found one and it was even at a decent price with gender-neutral colors! Merry Christmas! Internet shopping is becoming a Thing(TM) in Brazil. Everyone wants First World products, and yet it’s incredibly hard to find them in your local stores OR they’re ridiculously overpriced. Online is the only place way to go, unless you’re so rich that you don’t need to care. In our rural town, we all shop online. Shipping is exorbitant. I always gasp a little at shipping times and prices here. Oh, how I miss Amazon.com’s free five-day shipping! That being said, I paid extra for fast shipping and it arrived on time before Christmas. So it ain’t all bad. supposed to say? Shares? Room time?? Truth in advertising is over-rated. The box shows what must be the world’s smallest three-year old playing with the kitchen. The spatula is huge in her hand, and the kitchen comes up to almost the top of her head. Now, truth be told, this kitchen doesn’t even measure up to my TWO-year old’s SHOULDER. So, clearly there’s been some creative photo editing. But, all in all, my daughter and her friends are thrilled with her new luxury cooking duds. Our play area is the place to be these days for the under-five set. And my daughter would like you to know that you’re welcome to stop by for some plastic hotdogs, cardboard broccoli, and salad in a box anytime. We’ll keep the kettle on.